Aleppo burns and Mosul reels. But in the background, yet more conflicts are incubating. File photo: Ayman al-Zawahri and Osama bin Laden, 1998. Mazhar Ali Khan/AP/Press Association Images. All rights reserved.The combined Russian-Syrian bombardment of eastern Aleppo continues to be intense and often indiscriminate. In this the operation resembles the destruction of Grozny in the two Chechen wars of the 1990s. Strong opposition in western states includes a demand that relevant actions be designated as war crimes. In practice, such calls will not resonate much in the Middle East, for two reasons. The United States-led air-war against ISIS has caused 1,500-plus civilian casualties, a fact little acknowledged, while western support for the Saudi-led assault in Yemen – using weaponry sold by Britain – further erodes the credibility of British parliamentarians who criticise Russia. Meanwhile, the United States-led coalition still remains focused on ISIS, and largely ignores the future of Bashar al-Assad's regime. Plans for the seizure of Mosul, the last major ISIS-controlled stronghold in Iraq, are rolling. But even if the city is taken in the coming months it is far from clear that ISIS will be repressed in Iraq, let alone Syria (see "Mosul, the next target", 29 September 2016 ). This is because of two collateral problems. The first is ISIS's capacity for technical innovation. Its reported construction of defensive underground structures under Mosul could present major problems for the attackers, as could its use of armed drones and other ingenious forms of defence. Its deployment of reconnaissance drones is familiar, but armed versions are now appearing on the battlefield. The killing of two Kurdish soldiers by an unexploded drone they were examining is a case in point. The second problem derives from the sheer complexity of the coalition being created to take control of Mosul. At the moment the various forces involved (Iraqi government, Kurds, Iraqi Shi’a militias, the Iranian Revolutionary Guard Corps, some Sunni militias, western contingents) have a common interest in seeing ISIS defeated in the city. After that, though, there is every chance that pre-existing antagonisms will emerge. Turkey's determination to be involved, both in the assault and afterwards – to Baghdad's intense opposition – may prove especially disruptive. Let's assume that Mosul does fall, and that ISIS is repressed in Iraq and forced to retreat in Syria and Libya. Would the difficulties posed by extreme Islamist paramilitary movements then decline? Almost certainly not, if only because of an entirely different development: the surprise re-emergence of al-Qaida as a major force. 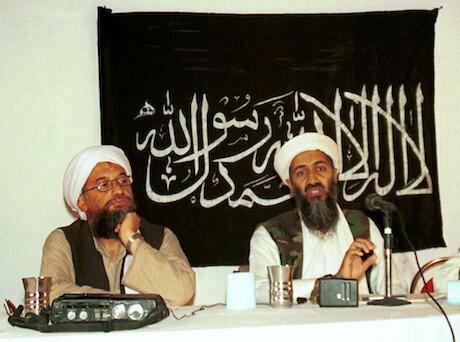 When Osama bin Laden was killed in May 2011, to be succeeded by his deputy Ayman al-Zawahiri, there was a period of several years when al-Qaida seemed in abeyance. It retained the allegiance only of scattered and mostly weak groups, while itself regularly losing mid-level leaders to US drone and special-force operations, not least in north-west Pakistan. Then, from 2014, what was left of al-Qaida was overshadowed and eventually eclipsed by the rise of IS. More recently, and to the surprise of many western security analysts who thought that al-Qaida was finished, it has staged a comeback – less in Iraq or Afghanistan than in Syria, Yemen and other theatres of conflict. * Al-Qaida’s organisational approach has undergone a subtle but quite fundamental change. The movement, under bin Laden, had an all-or-nothing element – committed to a particular view of revolution which paid no deference to cultural variations in the communities in which it was operating. It appears now that the supposedly ineffectual al-Zawahiri has quietly imposed a shift towards paying more attention to the aspirations of peoples in those areas where it is garnering support. In the process the movement is willing to adapt its message and thereby increase its support. 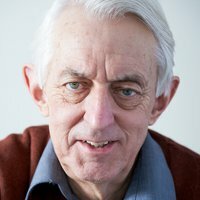 The experienced analyst Bruce Hoffman puts it this way: “In all of al Qaeda’s main theatres, very unfortunately and tragically, it is gaining credibility and gaining respect, and amassing additional power at a time when we thought we could just write off al Qaeda as having strategically collapsed, if not decisively defeated.” In short, just as the supposed main Islamist threat from ISIS diminishes, al-Qaida’s modified ideology is flourishing. Once again, superficial western progress in its war on terror is masking yet more challenges, not least an enduring failure to understand how al-Qaida and other “revolts from the margins” gain support. This is part of a more general yet mistaken belief that they are susceptible to conventional military power. Even after 15 years the lesson has not been learned.